Product #16667 | SKU GTV-AAUD-2-DIGAUD | 0.0 (no ratings yet) Thanks for your rating! 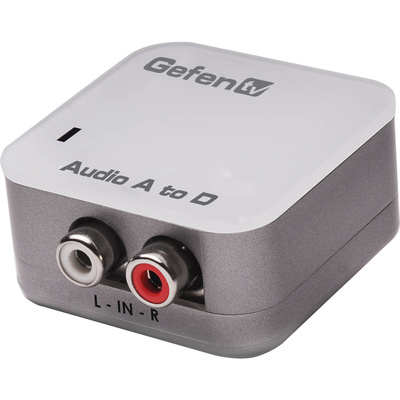 The GTV-AAUD-2-DIGAUD from Gefen allows you to take a left/right unbalanced RCA analogue audio signal and convert it to S/PDIF or TOSLink digital audio. Simply connect the device between your analogue audio source and digital output devices, power cycle all equipment, and the unit is ready for operation.